Why was I pulled over? Reasons behind why motorists are pulled over often vary. When you see the police vehicle with it’s emergency lights activated in your rear-view mirror, the above question will probably be the first one to enter your mind, unless you are aware of the law being broken. Moving violations are probably more prevalent then other infractions of the law. Moving violations include speeding, failing to signal a turn, crossing the double yellow lines to pass, and so on. Registration and equipment violations are other reasons why your vehicle may be pulled over. The most obvious violation of a motor vehicle law lately would probably be “unapproved equipment (39:3-77).” This violation includes the lights that are being sold to replace the factory installed windshield washer housings. A traffic stop may also be initiated for an investigative purpose. There may be a BOLO (Be On the Look Out) out for a vehicle fitting your vehicle’s description. Your vehicle or actions may seem suspicious to a police officer or a concerned caller, therefore, the officer may pull you over to conduct an investigative detention. Finally you may be pulled over because a safety issue. These include an ajar trunk or something being left on top of your vehicle by accident. Officer will activate his emergency lights, and possibly his siren or horn. The purpose of this is to gain your attention and compliance. Back-up officer(s) may arrive on the scene. Officer will request your license, registration certificate, and insurance card. Officer will advise you of the reason you were pulled over. Park your vehicle as far away from the lane of traffic as possible. Stay in your vehicle unless instructed to exit by the officer. Turn on your interior lights. If you are advised to do so by the officer and fail to comply, you will be in violation of a NJ law. Do not demand an explanation of the officer’s actions. The officer will advise you of the reason you were stopped once you have provided the requested documents. Do not argue the disposition of the traffic stop on the scene, it’s unproductive, and unsafe. You will have your day in court to present your case. Why did the officer sneak up on me? Police officers are trained to avoid exposing themselves to traffic as much as possible, therefore they are attempting to minimize their chance of being injured. The officer is also trying to stay close to cover. On a motor vehicle stop, you know that the car behind you is being operated by a police officer, on the other hand the officer has no idea who he is about to make contact with. Safety is a vital issue to police officers, and taking extra precautions is not uncommon. Why did another police vehicle arrive on my car stop? 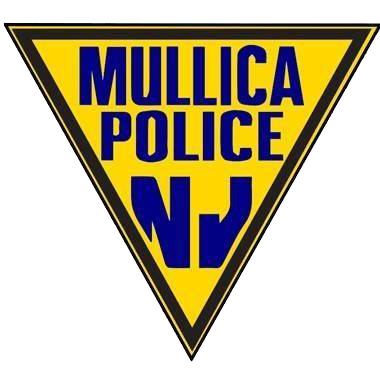 A back-up unit may arrive on the scene, the unit may be another Mullica car or an officer from another agency who stopped to check on the primary officer. A traffic stop is one of the activities that officers are killed on most in the United States. The Mullica Twp Police Department values it’s officers, and will take every precaution to ensure their safety. What is the officer doing in his car for so long? Tthe officer may spend a few minutes in his patrol car during the traffic stop. The police officer is checking on the status of your vehicle’s registration, insurance, and the status of your driving privileges. The officer may also be checking you and your vehicle for wants or warrants.